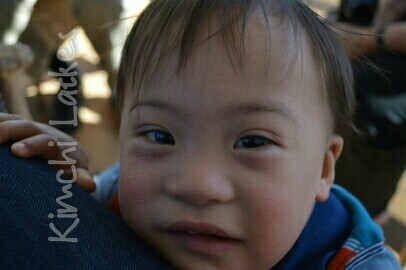 My son with Down syndrome was born just a little before Thanksgiving, two years ago. We became a family of five and entered into the holidays, excited and grateful. Right around Christmas, my mind began to run in ways that I could not seem to put to rest. The features of his face… I couldn’t put my finger on it. I don’t think I’ll ever forget that week between Christmas and New Year’s. One of those mornings, he opened his eyes. Then came the flash of recognition. The first thing I thought was, “Can people look like they have Down syndrome, without actually having it? Because there’s probably no way my kid has Down syndrome.” The rest of that story is, of course, history. The next days and weeks were filled with a lot of confusion and soul-searching. I would not characterize that time as an easy period of my life. I find myself pondering the word “recognition.” In that moment, was I maybe having a moment of “re” + “cognition”, as in, understanding again? From my completely self-centered parent’s perspective, I can write about the holidays as forever being a time that will remind me of when I “discovered” that my son has Down syndrome. That’s pretty silly though. My son has always had Down syndrome, after all. Two years later, my memories of that week are not entirely about grief, not about sadness or tears. I’m not denying that part of the experience, but the larger picture is of the process of recognizing the truth that was before us. Recognizing my baby for who he was, every part. I’ve also learned from the disability community about the deeper meaning of recognition. Look in the dictionary, and one will find recognition as not just acknowledgment, but also of legitimacy, validity, and acceptance. I’ve listened to the words of countless disability advocates showing up every day, saying the hard truth, demanding recognition of what is true and just. And with those demands, I see a whole lot of pride. Loud and unapologetic pride. I am not considered disabled. I am a neurotypical, able-bodied person who is raising a child with a disability. Yet I read Laura Hershey’s words, and I recognize that I, too, need to practice. Why? He’s two years old. I’m his gateway. I can either enable or block his path to power and pride. As a parent, I cannot say that my entrance into the disability world was easy. I doubt that it will ever be easy for me to walk this path; no parenting is. But two years later, another holiday season is passing, and I’ve come to see an entirely different context for what I experienced. Practice is hard, and practice might hurt, but I’m immeasurably grateful for beginning that journey. So much love, Jisun! Merry, Merry and Happy Happy! What a treat – another thoughtful piece by you. I love words as do you. Chewing on this word now. Re-cognition. Thanks for writing! Thank you! I feel like knowing other languages helps make word geeks, don’t you think? Some of my earliest word pondering was on the topic of English vs Korean. So good to hear from you, Jisun! Your journey is a profound one, and the way that you share it is a gift to all other parents and teachers. Merry Christmas to you and to all of your beautiful children! Oh, absolutely NOT!!! Hope I made you laugh, though! Happy holidays to you and your little ones, and look forward to hearing more from you in 2015.